A surprisinly nice discovery for the time and place, and one of the big time Belgian rarities up there with Irish Coffee and Waterloo. Laurelie, musically speaking, could be considered the next level up from the large freakbeat movement that was all the rage in The Netherlands and Belgium in the late 1960s (groups like the Wallace Connection, for example). English vocals are a bit suspect, but the sophistication and exploration of ideas is considerably more than what is normally found in Continental Europe at such an early date. Wonderful fuzz guitar, old keyboard sounds and especially the flute drive the melodic and tonal contents. The 20 minute, multi-part closer has many great ideas. Holds up better than most in this genre. This LP it is highly sought after in the collectors circuit. Appears listed in the bible records sought '1000 Record Collector Dream', 1 star of 5, ie, its price should not exceed 90 euros ... what do I get? is that with great surprise I noticed (some time ago)the price of this LP on eBay: 400 euros! 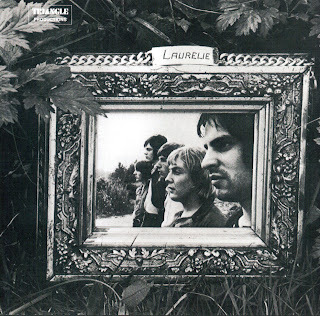 Coming out of Eastern Belgium’s Ardennes, quintet Laurelie released a single album in 1970 and was in its ranks some Raepsaet Pierre on vocals and guitar, better known under the name of Pierre Rapsat. This self-titled album, published by Triangle a sub-brand Barclay (as LP Irish Coffee) is a swinging sixties psychedelic pop between a close Beatles, including Pierre Rapsat was a fan, and a nascent progressive rock of the 70s. The merger of these two types will operate with magic shows and a European pop that wanting to emancipate American influences will incorporate jazz, folk and classical music. Laurelie music can be compared to Moody Blues at Procol Harum, Traffic but also quirky pop of Syd Barrett. Together with Irish Coffee and Waterloo one of the most sought after progressive groups from the early seventies Belgian rock scene." well i called it psych folk rock, maybe prog jazz rock is more true..whatever it is,is good! This album presents the flute is a lot. It appears in virtually all securities and is both jazzy and symphonic or rock. In "Remember Ronny," she leads us in the great outdoors with the percussion support. Closing his eyes, we are transported into the Andes. We will find this theme in the intro and the final "Deborah Jane And Laurelie." Two pieces will highlight after listening to "Sad Stone" and "Deborah, Jane And Laurelie." 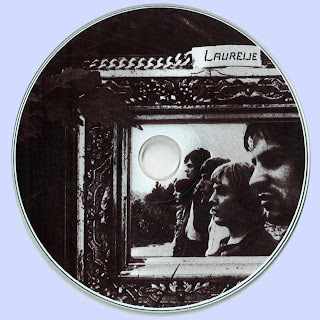 "Sad Stone" which opens "Laurelie" is a title that is changing the rhythm and blues in the garage through the sixties pop. In the middle it has a beautiful and long passage hovering with this psychedelic organ, the bass solo and the guitar and latent acid. But the best is of course the long series of more than 20 minutes what "Deborah Jane And Laurelie" perhaps dedicated to our friends girlfriends musicians. Worthy of a great Procol Harum, this piece is a beautiful blend of jazz, psychedelic pop, rhythm & blues, folk and symphonic place supported by a string orchestra and beautiful vocals. The rest is not bad either, especially "Have A Coke" and "Ugly Dirty Man". These two titles (which in fact form a single piece) are the rhythm & blues, almost garage, heated red-hot iron, when the voice in "Ugly Dirty Man" tries to keep pushing the guitar in the treble. It is great to loop the morning before going to work. Despite the success,Laurelie separates. Pierre Rapsat try the adventure with Jenghiz Khan next year then opt for a solo career in 1973, between rock and variety. Famous in Belgium, he died of cancer. in April 2002. "Cressida, Gravy Train and early Barclay James Harvest". Gotta check it out! Thanks, Marios!!! WOT A BOO´FUL UPLOAD, DIS RECORD´S AWAIT´D 4 A LONG TIME. AT LAST IN CD AND NOT IN CD-R WID A GREAT SOUND, AND IN FLAC DA BEST OF DA WORLD! FLAW´D GEMS KEEP ON DA WAY OF PIONEERS (REP, LHR, GOD AND SO ON9 RESCUIN´OLD GEMS FROM DA VAULTS. DIS ´S ONE OF THESE. It sounds just superb !! Certainly worth a listen. Thanks Marios ! !